Front end as the name says is the part in front of the user, the UI or user interface of any application or software. The Controls, text, and any information displayed in a software/ application is the front end of an Application. The technologies we use to create front end and UI are called front-end technologies. To make the system comfortable so that a user feels as it is working as like in the real world he may do something. To display graphs, charts, and visualizations. To separate the server part, we create UI on the front end, known as client side. Hypertext Markup Language (HTML) is the standard markup language for creating web pages and web applications. It is the oldest and popular language for writing web pages. It is used in nearly every project for creating the structure, layout, and controls on every web page. 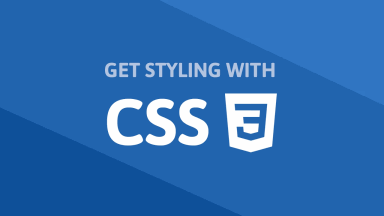 CSS or Cascading Style Sheets are the sheets for writing styles of a web page. We use CSS for designing a web page and add styles to it like colors, background, font size and more. CSS is used alongside HTML. Angular (commonly referred to as “Angular 4” or “Angular 2”) is a TypeScript-based open-source front-end web application platform led by the Angular Team at Google and by a community of individuals and corporations. Angular is a complete rewrite from the same team that built AngularJS. It is used for single page applications. Bootstrap is the second most-starred project on GitHub, with more than 121,000 stars. So that’s all for now. Write below in comments which is your favorite technolgy for front end or you suggest a combination . Feel free to share and comment what you like. Share with your friends, family and relatives. Stay connected for more coming To Tekraze.